Chatham House has been at the forefront of thinking on Britain’s role in the world. So with the General Election less than a month away, it’s a great place to set out my approach: on how a Labour Government I lead will keep Britain safe, reshape relationships with partners around the world, work to strengthen the United Nations and respond to the global challenges we face in the 21st century. And I should say a warm welcome to the UN Special Representative in Somalia, Michael Keating, who is here today. On Monday, we commemorated VE Day, the anniversary of the victory over Nazi Germany in Europe. VE Day marked the defeat of fascism and the beginning of the end of a global war that claimed seventy million lives. General Eisenhower, supreme commander of the Allied forces in 1944, went on to become Republican President of the United States during some of the most dangerous years of the Cold War in the 1950s. Sadly, in the more than half a century since that speech, I think it’s clear that Eisenhower’s warning has not been heeded. Too much of our debate about defence and security is one dimensional. You are either for or against what is presented as “strong defence”, regardless of the actual record of what that has meant in practice. Alert citizens or political leaders who advocate other routes to security are dismissed or treated as unreliable. My own political views were shaped by the horrors of war and the threat of a nuclear holocaust. My parents met while organising solidarity with the elected government of Spain against Franco’s fascists during the Spanish civil war. I didn’t imagine then that nearly fifty years later we would see chemical weapons still being used against innocent civilians. What an abject failure. How is it that history keeps repeating itself? At the end of the cold war, when the Berlin Wall came down we were told it was the end of history. Global leaders promised a more peaceful, stable world. It didn’t work out like that. Today the world is more unstable than even at the height of the cold war. The approach to international security we have been using since the 1990s has simply not worked. Regime change wars in Afghanistan Iraq, Libya, and Syria – and Western interventions in Afghanistan, Somalia and Yemen – have failed in their own terms, and made the world a more dangerous place. They have not increased our security at home – just the opposite. And they have caused destabilisation and devastation abroad. Last September, the Commons Foreign Affairs Select Committee published a report on David Cameron’s Libyan war. 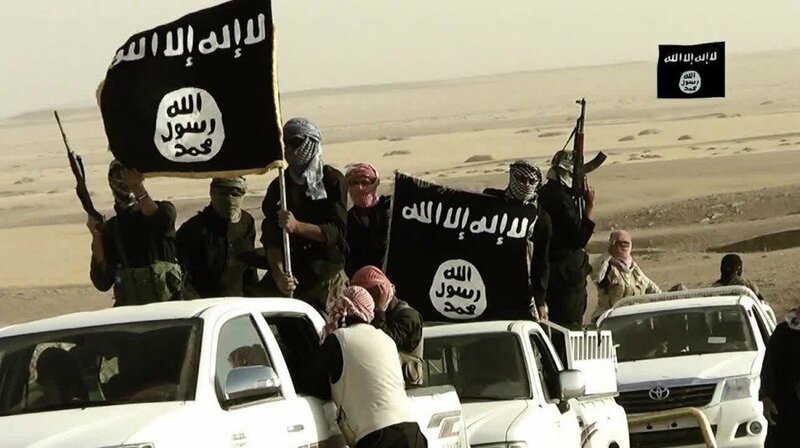 They concluded the intervention led to political and economic collapse, humanitarian and migrant crises and fuelled the rise of Isis in Africa and across the Middle East. Is that really the way to deliver security to the British people? Who seriously believes that’s what real strength looks like? We need to step back and have some fresh thinking. The world faces huge problems. As well as the legacy of regime change wars, there is a dangerous cocktail of ethnic conflicts, of food insecurity, water scarcity, the emerging effects of climate change. Add to that mix a grotesque and growing level of inequality in which just eight billionaires own the same wealth as the 3.6 billion poorest people. And you end up with a refugee crisis of epic proportions affecting every continent in the world. With more displaced people in the world than since the Second World War. These problems are getting worse and fuelling threats and instability. The global situation is becoming more dangerous. And the new US President seems determined to add to the dangers by recklessly escalating the confrontation with North Korea, unilaterally launching missile strikes on Syria, opposing President Obama’s nuclear arms deal with Iran and backing a new nuclear arms race. A Labour Government will want a strong and friendly relationship with the United States. But we will not be afraid to speak our mind. The US is the strongest military power on the planet by a very long way. It has a special responsibility to use its power with care and to support international efforts to resolve conflicts collectively and peacefully. Waiting to see which way the wind blows in Washington isn’t strong leadership. And pandering to an erratic Trump administration will not deliver stability. When Theresa May addressed a Republican Party conference in Philadelphia in January she spoke in alarmist terms about the rise of China and India and of the danger of the West being eclipsed. She said America and Britain had to ‘stand strong’ together and use their military might to protect their interests. This is the sort of language that led to calamity in Iraq and Libya and all the other disastrous wars that stole the post-Cold War promise of a new world order. I do not see India and China in those terms. Nor do I think the vast majority of Americans or British people want the boots of their young men and women on the ground in Syria fighting a war that would escalate the suffering and slaughter even further. Britain deserves better than simply outsourcing our country’s security and prosperity to the whims of the Trump White House. So no more hand holding with Donald Trump. A Labour Government will conduct a robust and independent foreign policy – made in Britain. A Labour Government would seek to work for peace and security with all the other permanent members of the United Nations security council – the US, China, Russia and France. And with other countries with a major role to play such as India, South Africa, Brazil and Germany. The ‘bomb first, talk later’ approach to security has failed. To persist with it, as the Conservative Government has made clear it is determined to do, is a recipe for increasing, not reducing, threats and insecurity. I am often asked if as prime minister I would order the use of nuclear weapons. It’s an extraordinary question when you think about it – would you order the indiscriminate killing of millions of people? Would you risk such extensive contamination of the planet that no life could exist across large parts of the world? If circumstances arose where that was a real option, it would represent complete and cataclysmic failure. It would mean world leaders had already triggered a spiral of catastrophe for humankind. Labour is committed actively to pursue disarmament under the Nuclear Non-Proliferation Treaty and we are committed to no first use of nuclear weapons. But let me make this absolutely clear. If elected prime minister, I will do everything necessary to protect the safety and security of our people and our country. That would be my first duty. And to achieve it, I know I will have to work with other countries to solve problems, defuse tensions and build collective security. The best defence for Britain is a government actively engaged in seeking peaceful solutions to the world’s problems. But I am not a pacifist. I accept that military action, under international law and as a genuine last resort, is in some circumstances necessary. But that is very far from the kind of unilateral wars and interventions that have almost become routine in recent times. 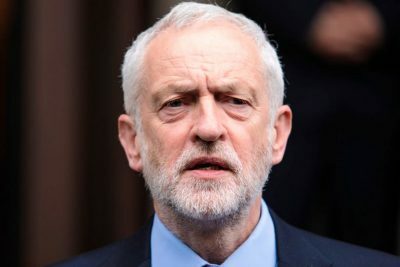 I will not take lectures on security or humanitarian action from a Conservative Party that stood by in the 1980s – refusing even to impose sanctions – while children on the streets of Soweto were being shot dead in the streets, or which has backed every move to put our armed forces in harm’s way regardless of the impact on our people’s security. 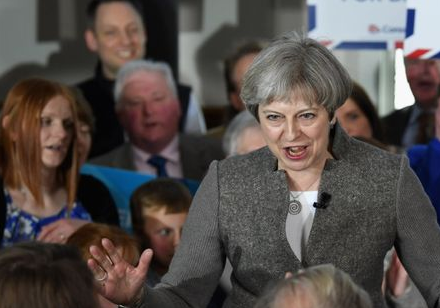 Once again, in this election, it’s become clear that a vote for Theresa May could be a vote to escalate the war in Syria, risking military confrontation with Russia, adding to the suffering of the Syrian people and increasing global insecurity. 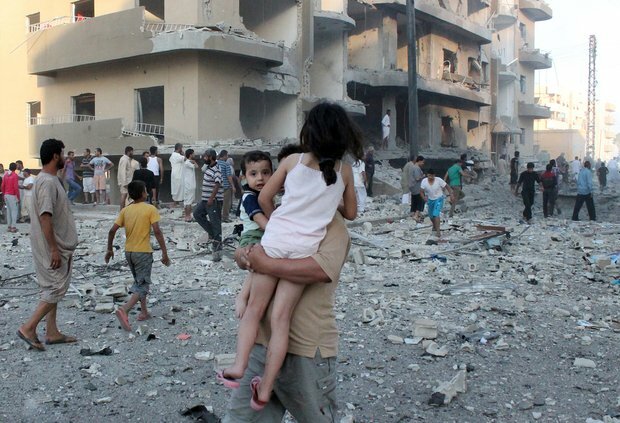 When you see children suffering in war, it is only natural to want to do something. But the last thing we need is more of the same failed recipe that has served us so badly and the people of the region so calamitously. Labour will stand up for the people of Syria. We will press for war crimes to be properly investigated. And we will work tirelessly to make the Geneva talks work. Every action that is taken over Syria must be judged by whether it helps to bring an end to the tragedy of the Syrian war or does the opposite. Even if ISIS is defeated militarily, the conflict will not end until there is a negotiated settlement involving all the main parties, including the regional and international powers and an inclusive government in Iraq. All wars and conflicts eventually are brought to an end by political means. So Labour would adopt a new approach. We will not step back from our responsibilities. But our focus will be on strengthening international co-operation and supporting the efforts of the United Nations to resolve conflicts. A Labour Government will respect international law and oppose lawlessness and unilateralism in international relations. We believe human rights and social justice should drive our foreign policy. In 1968, Harold Wilson’s Labour Government signed the Nuclear Non-Proliferation Treaty. As prime minister, I hope to build on that achievement. Labour’s support for the renewal of the Trident submarine system does not preclude working for meaningful, multilateral steps to achieve reductions in nuclear arsenals. A Labour Government will pursue a triple commitment to the interlocking foreign policy instruments of: defence, development and diplomacy. For all their bluster, the Tory record on defence and security has been one of incompetence and failure. They have balanced the books on the backs of servicemen and women. Deep cuts have seen the Army reduced to its smallest size since the Napoleonic wars. From stagnant pay and worsening conditions, to poor housing. The morale of our service personnel and veterans is at rock bottom. That means working with our allies to ensure peace and security in Europe. We will work to halt the drift to confrontation with Russia and the escalation of military deployments across the continent. There is no need whatever to weaken our opposition to Russia’s human rights abuses at home or abroad to understand the necessity of winding down tensions on the Russia-Nato border and supporting dialogue to reduce the risk of international conflict. We will back a new conference on security and cooperation in Europe and seek to defuse the crisis in Ukraine through implementation of the Minsk agreements. We will continue to work with the EU on operational missions to promote and support global and regional security. This means our Armed Forces will have the necessary capabilities to fulfil the full range of obligations ensuring they are versatile and able to participate in rapid stabilisation, disaster relief, UN peacekeeping and conflict resolution activities. Because security is not only about direct military defence, it’s about conflict resolution and prevention, underpinned by strong diplomacy. So the next Labour Government will invest in the UK’s diplomatic networks and consular services. We will seek to rebuild some of the key capabilities and services that have been lost as a result of Conservative cuts in recent years. Finally, while Theresa May seeks to build a coalition of risk and insecurity with Donald Trump, a Labour Government will refocus Britain’s influence towards cooperation, peaceful settlements and social justice. The life chances, security and prosperity of our citizens are dependent on a stable international environment. We will strengthen our commitment to the UN. But we are well aware of its shortcomings, particularly in the light of repeated abuses of the veto power in the UN Security Council. So we will work with allies and partners from around the world to build support for UN reform in order to make its institutions more effective and responsive. And as a permanent member of the Security Council we will provide a lead by respecting the authority of International Law. To lead this work, Labour has created a Minister for Peace who will work across the Ministry of Defence and the Foreign and Commonwealth Office. We will reclaim Britain’s leading role in tackling climate change, working hard to preserve the Paris Agreement and deliver on international commitments to reduce carbon emissions. Labour will re-examine the arms export licensing regulations to ensure that all British arms exports are consistent with our legal and moral obligations. This means refusing to grant export licences for arms when there is a clear risk that they will be used to commit serious violations of international humanitarian law. Weapons supplied to Saudi Arabia, when the evidence of grave breaches of humanitarian law in Yemen is overwhelming, must be halted immediately. I see it as the next Labour’s Government task, as my task, to make the case for Britain to advance a security and foreign policy with integrity and human rights at its core. So there is a clear choice at this election. “The chain reaction of evil – hate – begetting hate, wars producing more wars – must be broken, or we shall be plunged into the dark days of annihilation”. A Labour Government will give leadership in a new and constructive way and that is the leadership we are ready to provide both at home and abroad. Thank you.